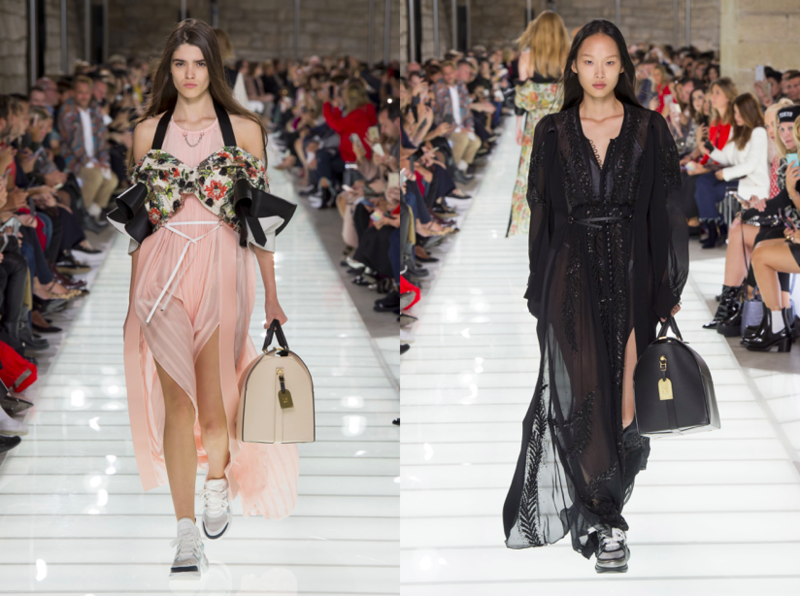 Nicolas Ghesquiere wondered, what it’s like when groups of tourists in their sweatpants and sneakers storm the corridors of Louvre, which is filled with some of the biggest masterpieces of the previous centuries, from Mona Lisa to the Dutch masters. That’s quite a striking contrast, right? But contrast is Ghesquiere’s favourite field to discuss in his fashion. Although this season’s Louis Vuitton show venue (in the Louvre’s Pavillon de l’Horloge – which opened just last year – that holds the Great Sphinx of Tanis, which dates back to 2600 BC) foreshadowed something as serious as the location itself, Nicolas did the most unexpected. First look said it all: heavily embroidered, tapestry frock coat à la Marie Antoinette styled with blue nylon shorts. A lesson in fashion history plus the off-beat, street aesthetic. I was struck. That’s Ghesquie-genius. 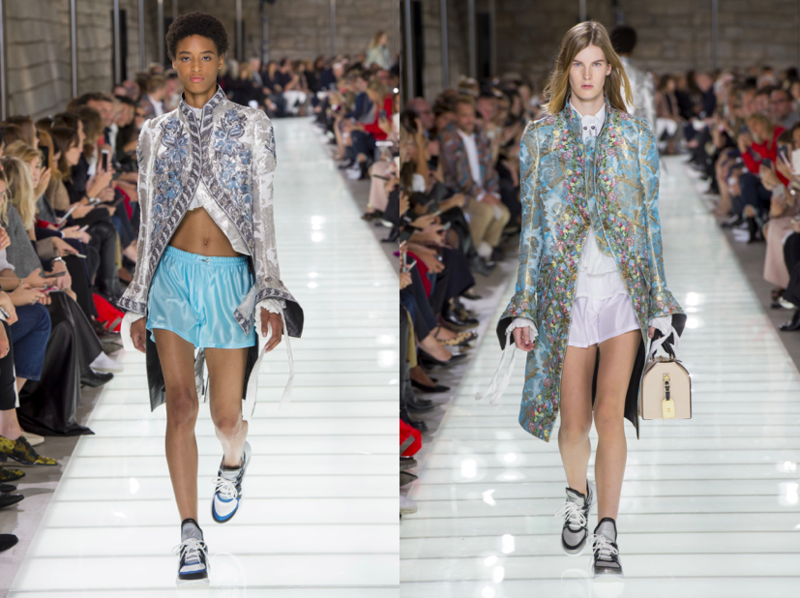 The crowd gasped when the first pair of new, sculptural Vuitton sneakers appeared on the runway. Just like when Freja Beha rocked a pair of polished, futurist slim pants. 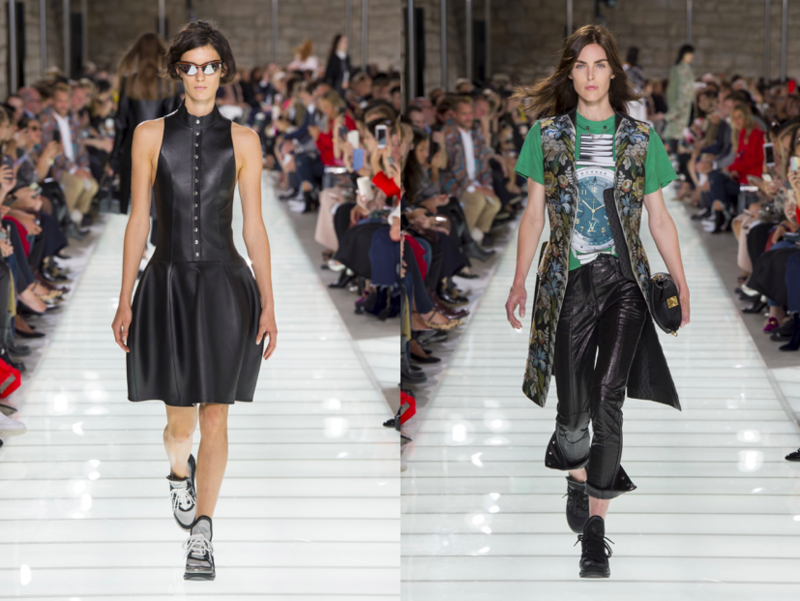 Ghesquiere acknowledges the past as well as the contemporary in his spring-summer 2018 collection. In the line-up of intricately embellished dresses and fancy Victorian blouses, there was this one Stranger Things t-shirt (think Balenciaga Autumn Winter 2012) worn over a loosely-fitted georgette shirt. This entry was posted in Paris, Trend Reports and tagged Louis Vuttion, paris fashion week, pfw, Spring 2018, SS18. Bookmark the permalink.